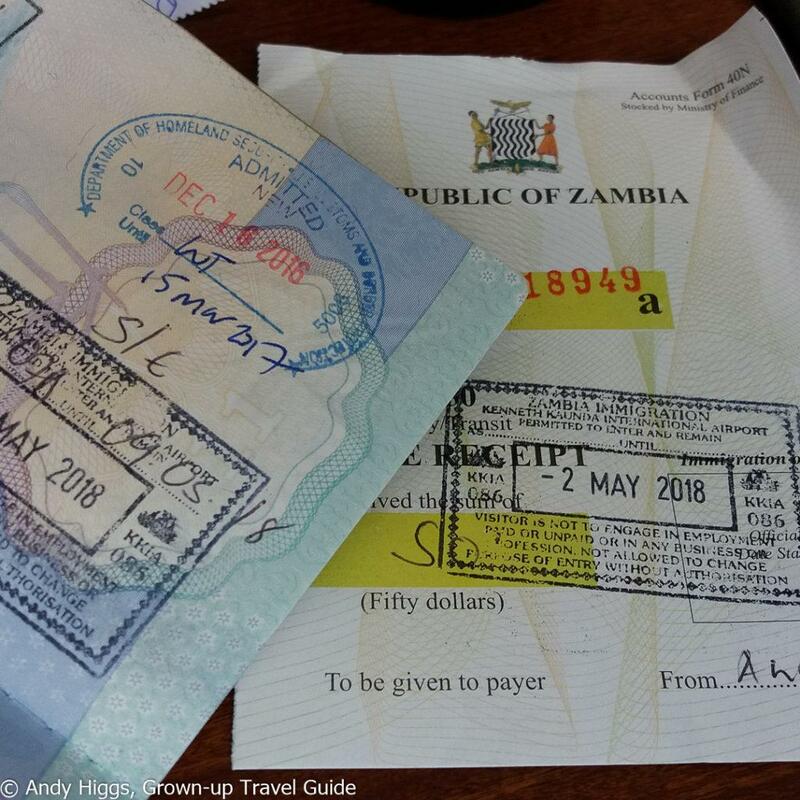 Posted on January 28, 2019 by Andy Higgs in Africa, Features, Home, Places, Stay, We likey. 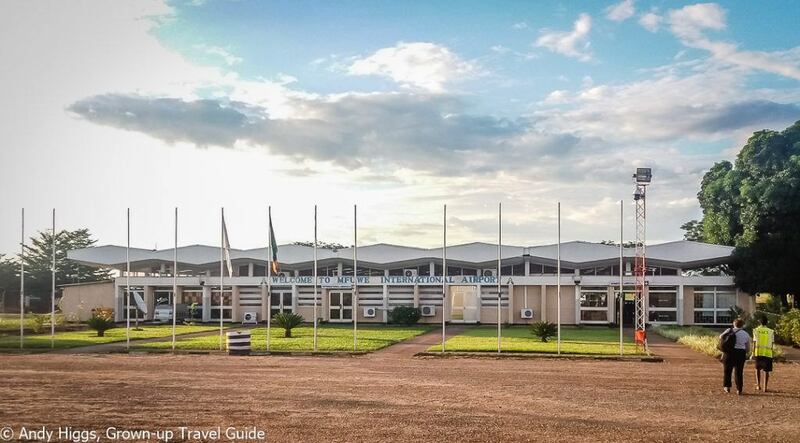 The story so far: after spending a week in Malawi during my month-long trip to Africa earlier this year to attend three travel trade shows, I had five days I needed to fill. The third and final expo was Indaba in Durban, South Africa. Rather than getting there way ahead of schedule and whiling away the time at the beach – while not a bad option, clearly – I decided to fulfil another ambition and visit Zambia instead. With only four nights at my disposal this was obviously not going to allow me to see very much of the country, so the sensible option seemed to be to stay in one area for the entire duration. 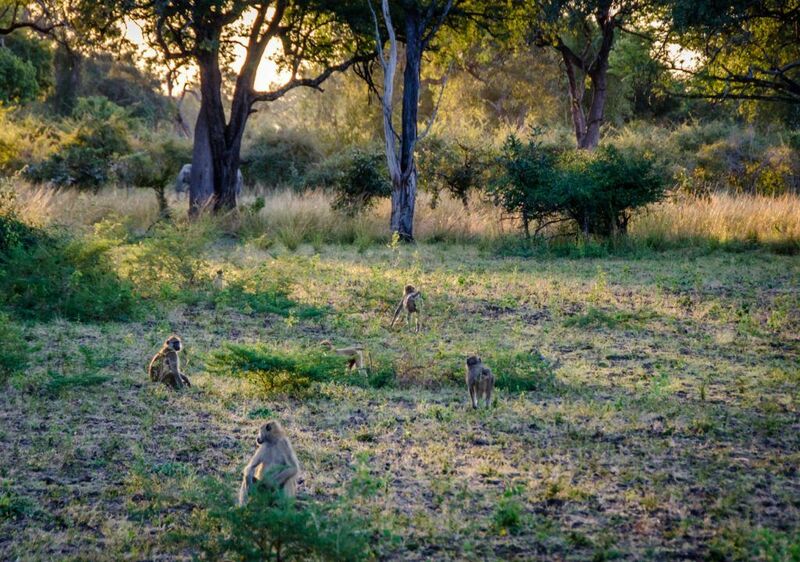 South Luangwa National Park is known as one of the best safari destinations in Africa and I have been wanting to see it for myself for as long as I can remember, and now I had the chance to at least scrape the surface of this huge area. I have known Jess from Flatdogs Camp for many years after meeting several times at trade shows both in Europe and Africa, and have always thought that the property sounded like an ideal match for my readers and future clients. 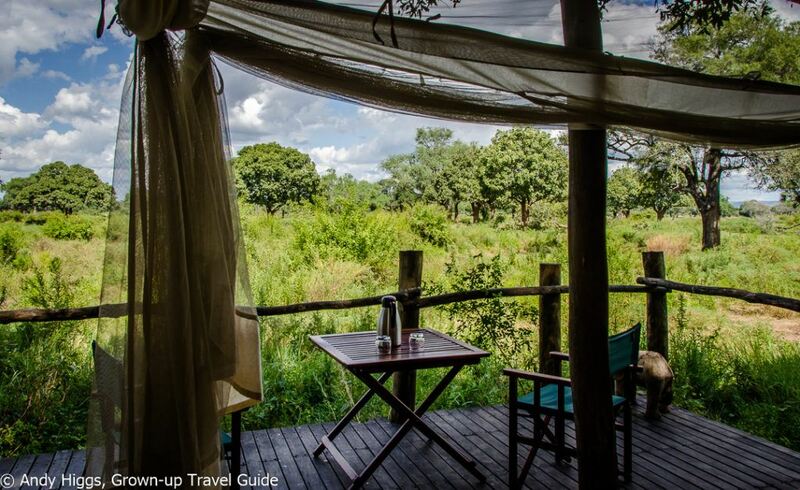 She arranged accommodation for my stay in Zambia at Flatdogs and I would get to experience three different types of room while there – perfect. 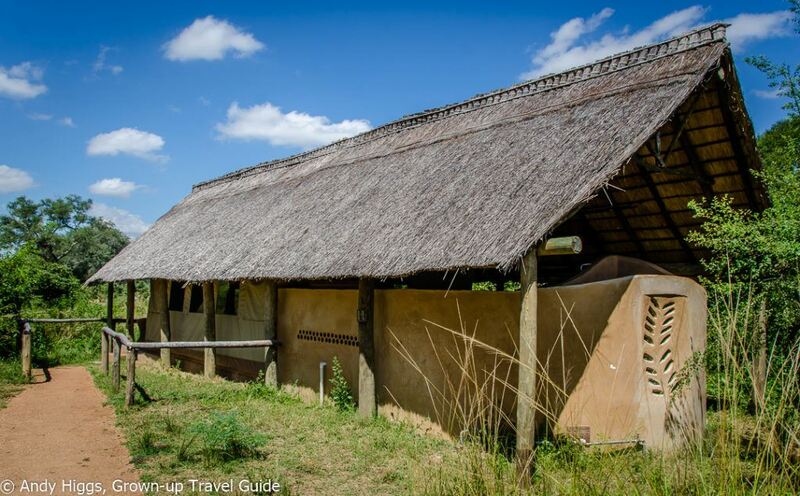 Now another sensible thing to do would have been to travel overland from Lilongwe to South Luangwa as it is cheap, easy to arrange and relatively painless. 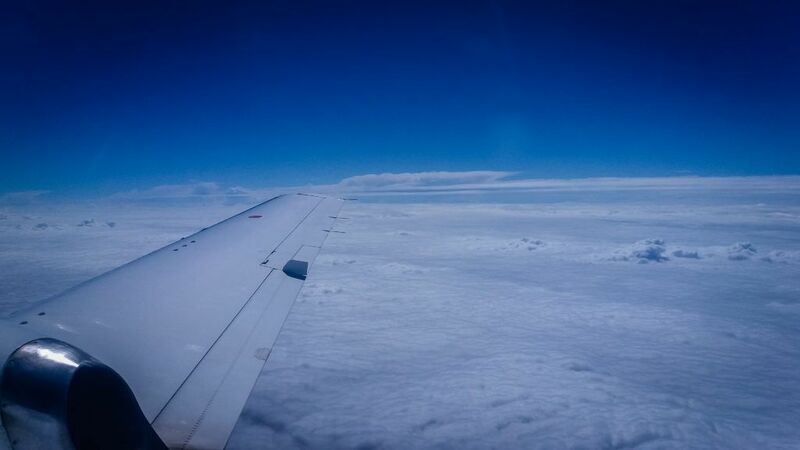 If I was even smarter, I would have taken the flight from Lilongwe to Mfuwe which is the closest airport to Flatdogs. Unfortunately, in my rush to arrange this leg of my extended sojourn in Africa I didn’t research all options. Hey, it happens. 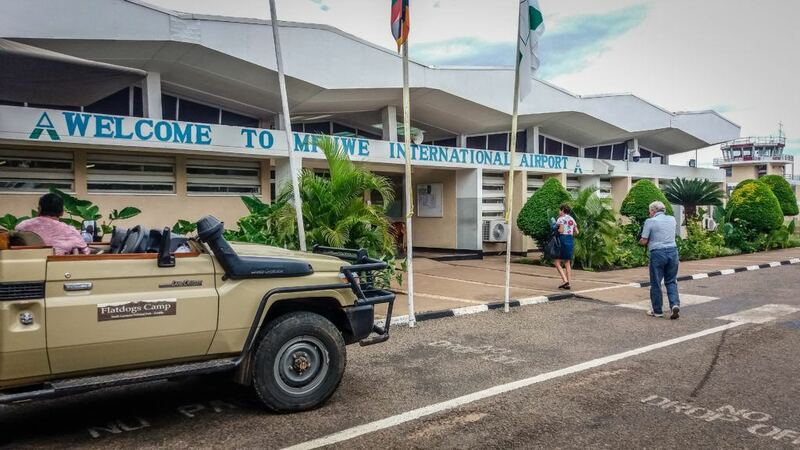 Long story short, I found myself flying from Lilongwe to Lusaka, the Zambian capital, only to have a few hours waiting at the airport until catching a flight back in the direction I came to, er, Mfuwe. 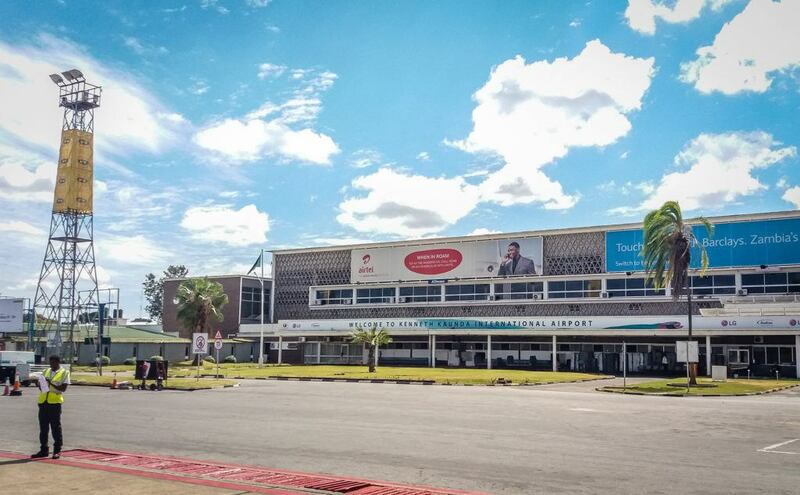 The flight to Lusaka was a quick one and I landed at Kenneth Kaunda International Airport, which is undergoing renovation work but not an unpleasant place even before the construction is completed. It was extremely quick and easy to get a visa on arrival at the airport, probably the fastest immigration and security clearance that I have ever experienced in Africa. I then bought a local SIM card for my mobile so that I could stay online while in Zambia. I knew that wifi was restricted to the restaurant area at Flatdogs and was a paid service, so this would enable me to upload photos and videos while in my room. I was then able to check in my bag for the next flight; thus unencumbered and with a couple more hours to kill it was obviously time to sample the local brew. The name is great, the beer is less memorable. But that is pretty much the case with every industrial pilsner in Africa. 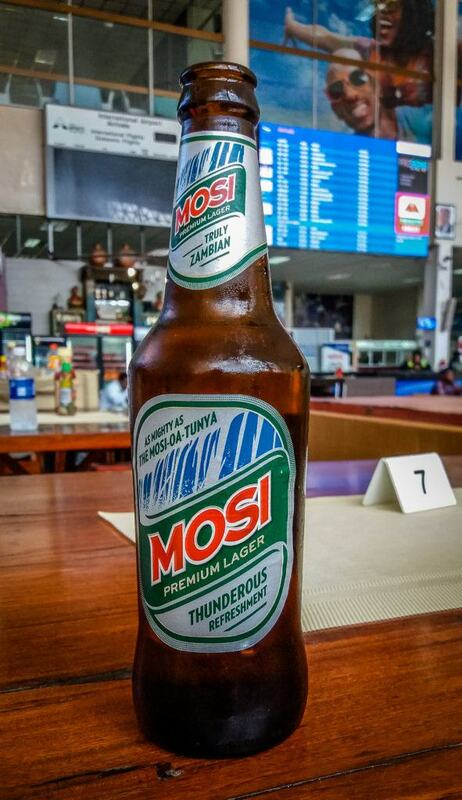 It quenches your thirst, anyway but Zambia clearly needs a craft brewery to shake things up a little, as is happening in many other places in the region. Still, I had another one with my lunch and it was time to board the domestic flight to Mfuwe. 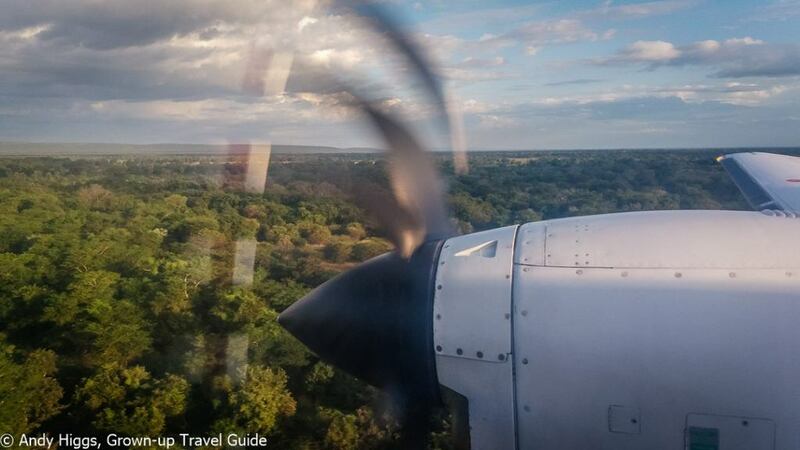 Internal flights in Zambia are expensive, and road transfers often difficult (and thus also expensive) so another thing needed in the country is a low-cost airline. Fingers crossed, but in the meantime Proflight at least offer a good network and easy online booking. I recommend getting advice from the place you will be staying, and in many cases they can book tickets for you at a discounted rate, as was the case with Flatdogs. Jess is an agent for Proflight and got a better price than I was able to find. As a guide, if you book early enough a one-way ticket from Lusaka to Mfuwe booked on Proflight’s website will cost you about USD 300, so not cheap at all. They do fly some international routes, though, and have some reasonably-priced combination tickets if you are flying on from Zambia. The journey from Lusaka to Mfuwe takes less than an hour and is very scenic. 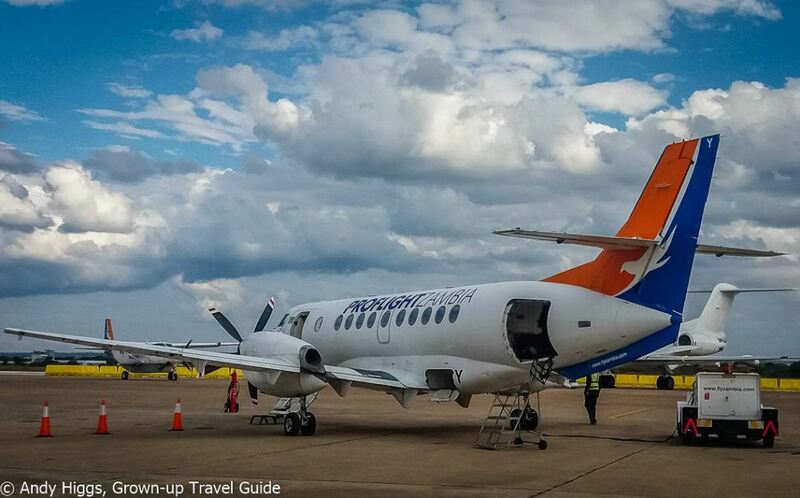 Mfuwe is not one of the biggest international airports I have made use of, but is very laid-back. Flatdogs arrange transfers from the airport into camp for a reasonable price and the journey only takes about 45 minutes on an excellent tarred road. 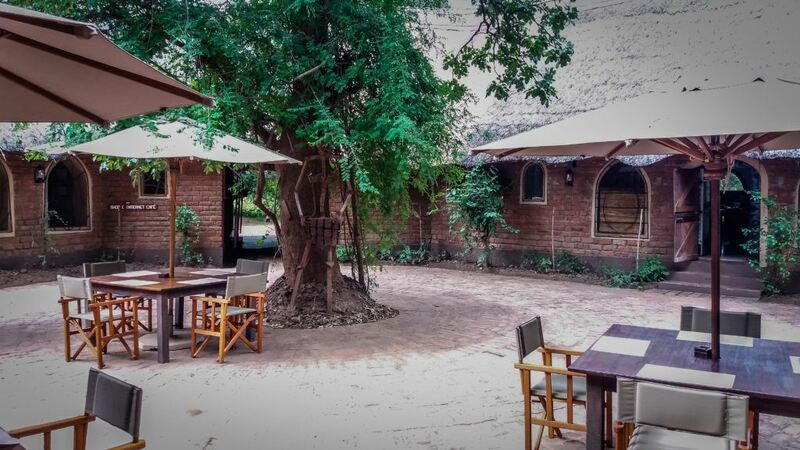 The road actually continues to the gate for South Luangwa National Park, and Flatdogs is the closest accommodation outside the park itself, just a five-minute drive away so you don’t waste any time getting there and starting your game drive. Upon arrival I received a quick briefing in the open-air section of the restaurant, which was a great place to relax with plenty of seating. Flatdogs is a large camp but it never felt busy as the public areas are spacious and well-designed. 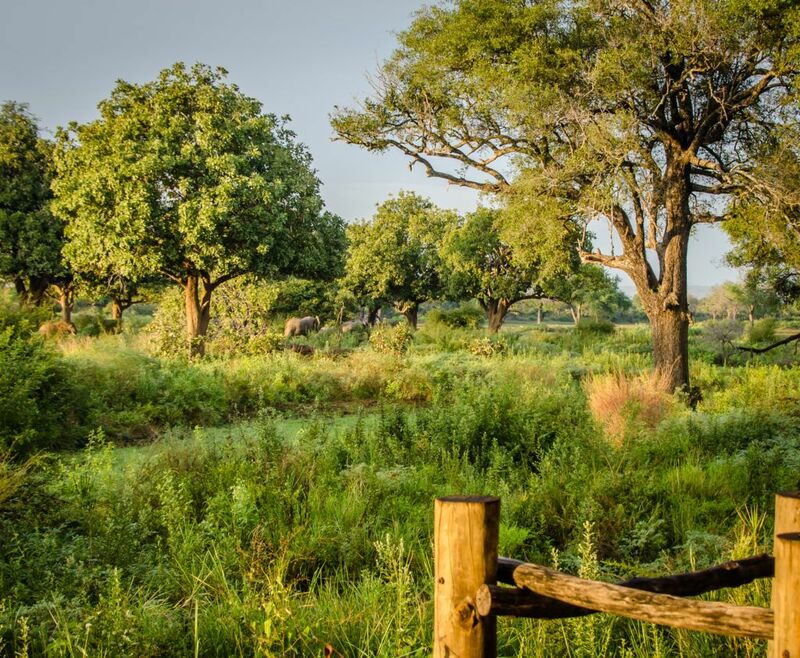 Animals – particularly elephants – regularly visit the property as it is unfenced and so close to South Luangwa. So the most important part of the briefing was to keep your eyes open and not to walk alone at night without a guard with a flashlight and expert knowledge. 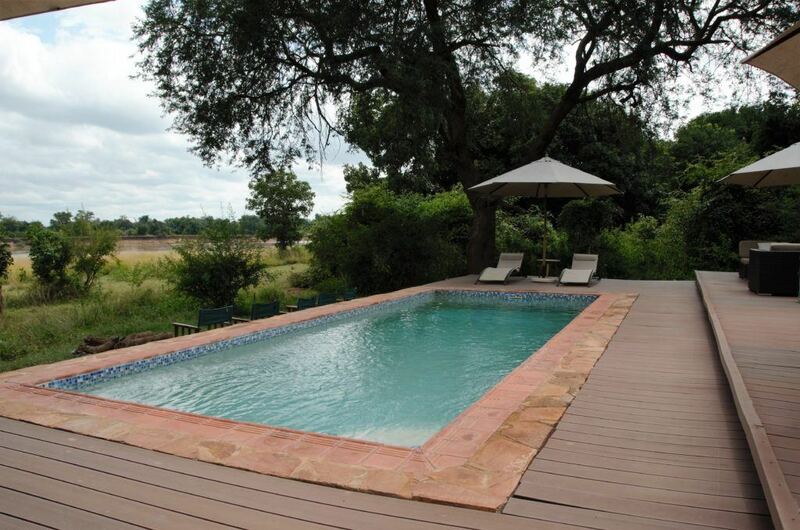 Another feature of the camp is a nice pool which provides a welcome place to cool off in the African heat. We had to make a quick detour to avoid this fella who was helping himself to the ample food available after the rainy season had finished a few weeks ago. I then arrived at my digs for the first two nights – one of the four types of accommodation available at Flatdogs Camp. 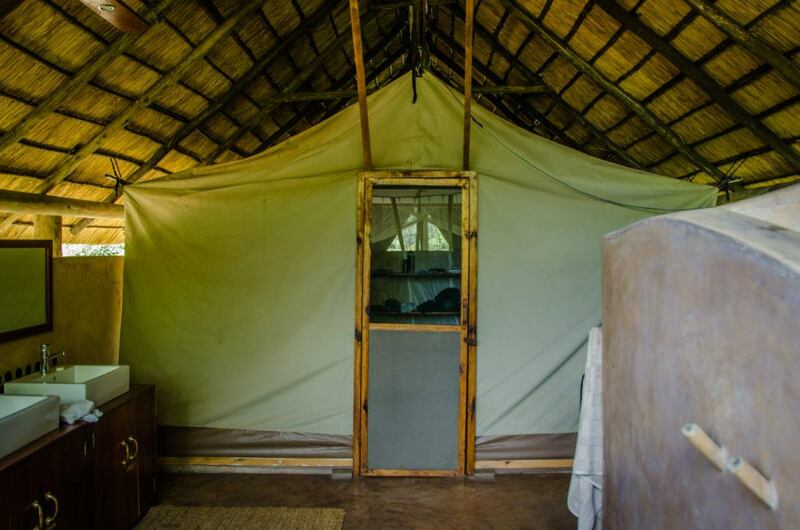 One of the big advantages of the property is the range of rooms and on top of that, the rates are much lower than most luxury camps in the region. The camp started its life as a budget option (and an actual campsite popular with overlanders and backpackers) but over time morphed into a mid to high end camp. The campsite is long gone but Flatdogs still attracts a diverse bunch of guests attracted by the value on offer here. 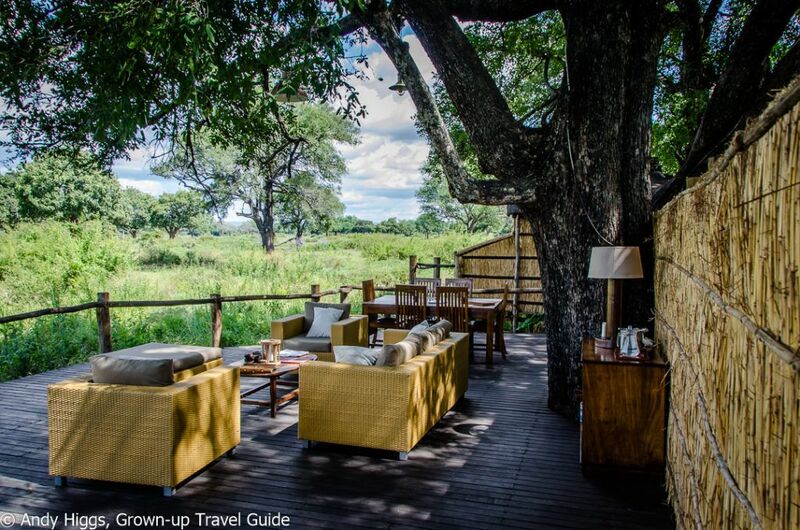 A key difference to most safari lodges is that you do not have to pay for a full-board package with activities included (although you can, and it is a great deal) – guests can stay on an accommodation-only basis and pay for exactly what they want – be it meals, game drives, walking safaris or the many other choices available. The restaurant is a la carte with something for everyone, too and prices are competitive. 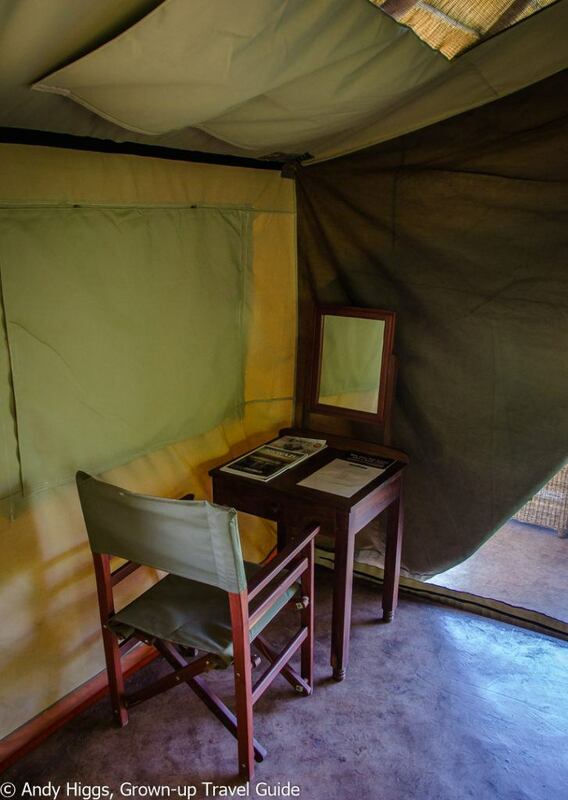 The first type of accommodation I tested was the luxury en-suite safari tent, of which there are seven. Six of these overlook the river while the seventh, the honeymoon tent, overlooks a waterhole and this was the one I was allocated. 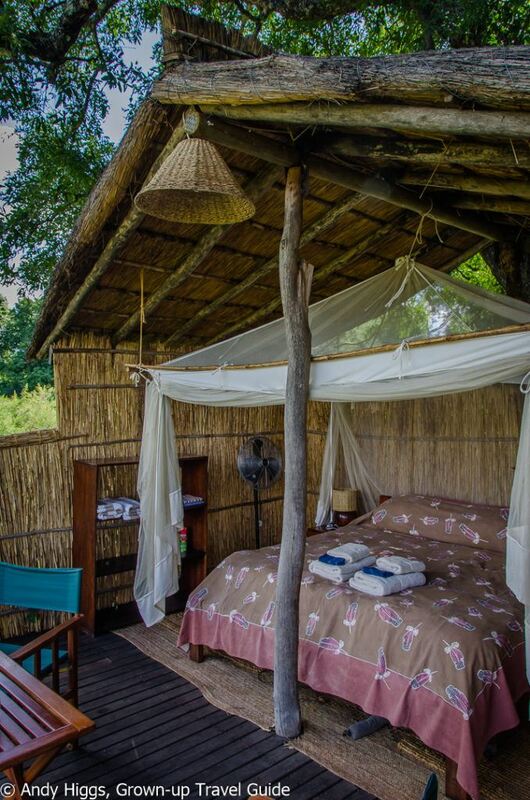 The honeymoon tent has a private setting and large bathroom including a claw foot tub as well as separate shower. 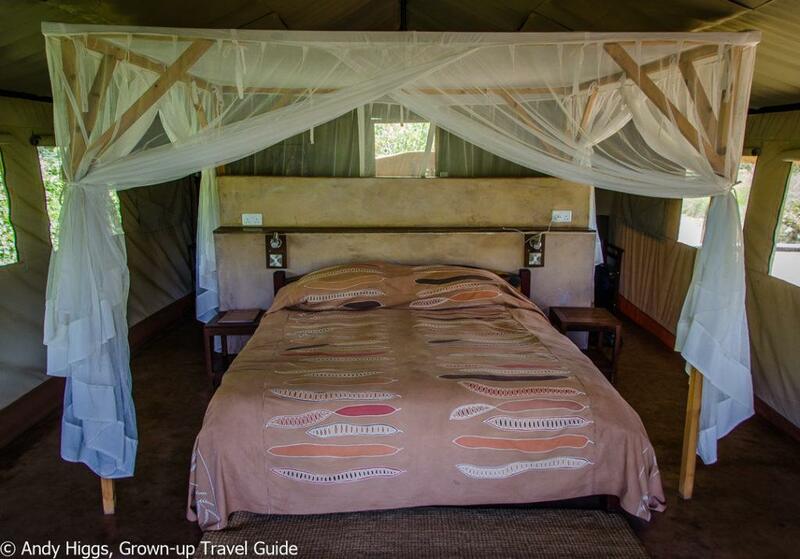 All the luxury safari tents have full-sized beds, and a shaded open-air bathroom with hot shower, flush toilet and basin. 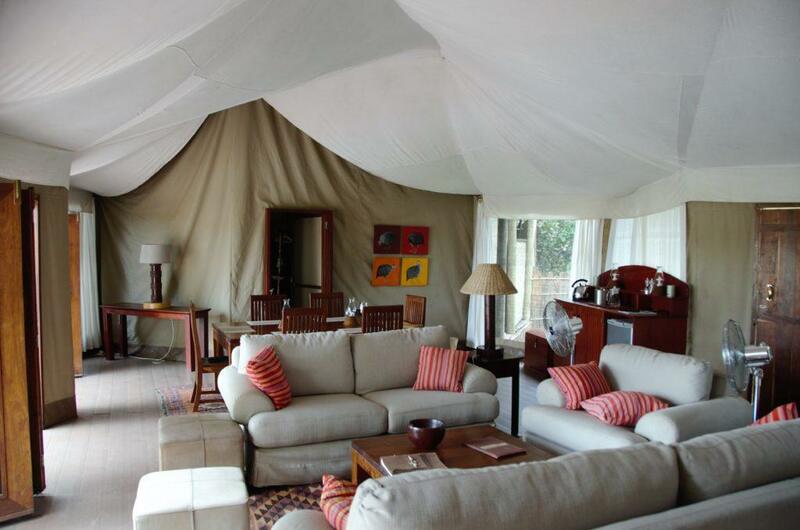 The luxury tents also have mosquito nets and electric fans as well as fully gauzed windows. 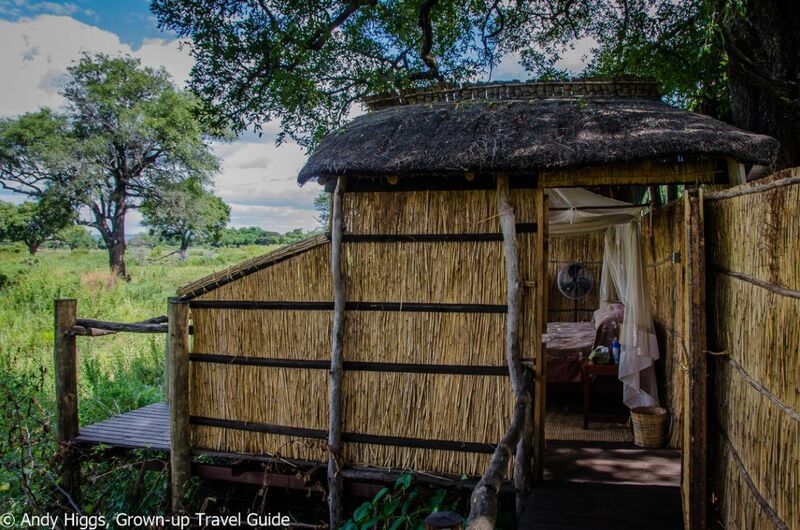 One of the six river-front tents is a family tent which has a double bed and two single beds, and one large en-suite bathroom, comfortably sleeping four people. 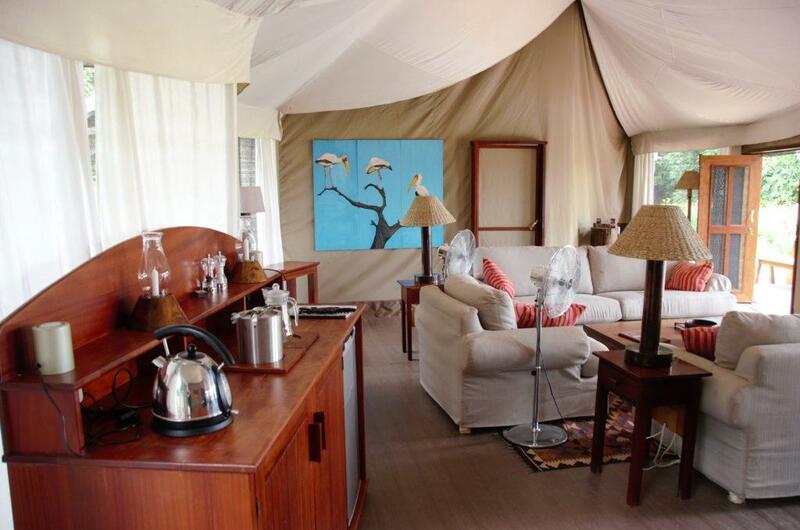 Furthermore, there are 3 standard en-suite safari tents which are cheaper. 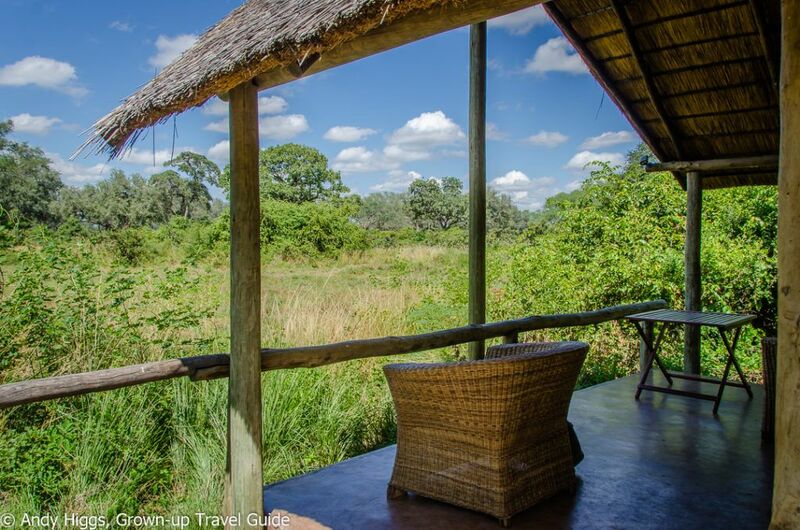 These are a little smaller, with river views and bush settings but still have all necessary comforts. As I said, plenty of choice and I have only just begun…more later. I loved this tent. 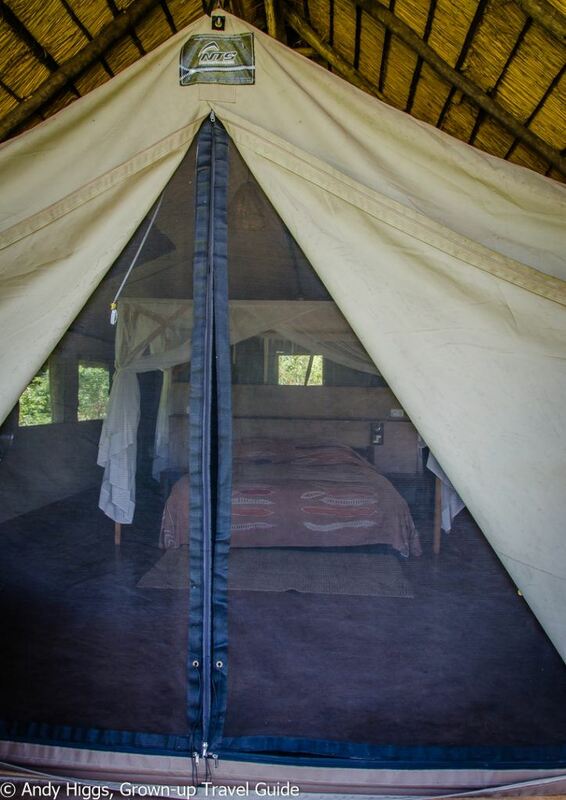 African safari tents are somewhat larger than and should not be confused with camping tents – most have more permanent roofs, floors and often walls around them, but you still have the luxury of being able to hear the sounds of the bush as you fall asleep or wake in the morning as there is only a thin layer of canvas between you and the outside world. My honeymoon tent was indeed very private, with a nice terrace on which to relax and watch for wildlife. 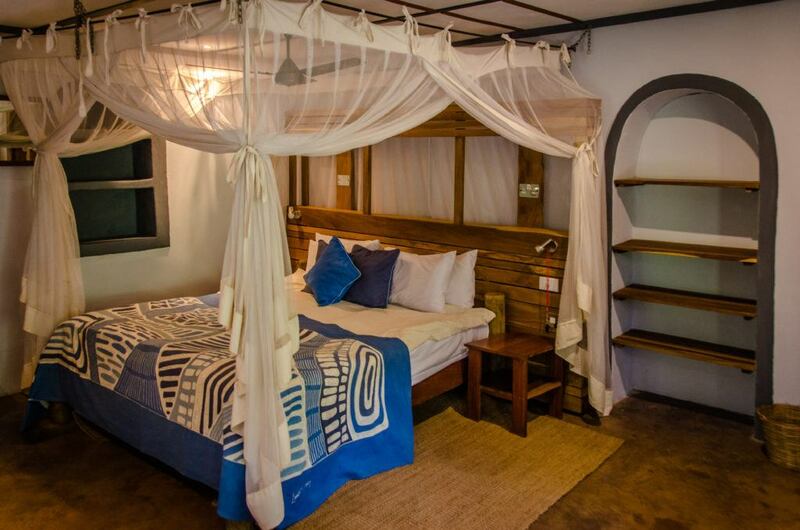 A large and very comfortable double bed with mosquito netting is the main feature of the bedroom, naturally enough. The fan was very handy and enables guests to stay in the tent during the hottest times of the day should they so desire. Flatdogs is on mains electricity so there are no restrictions on using power, either. A writing desk is also provided and would be as good a place as any to start writing that novel. 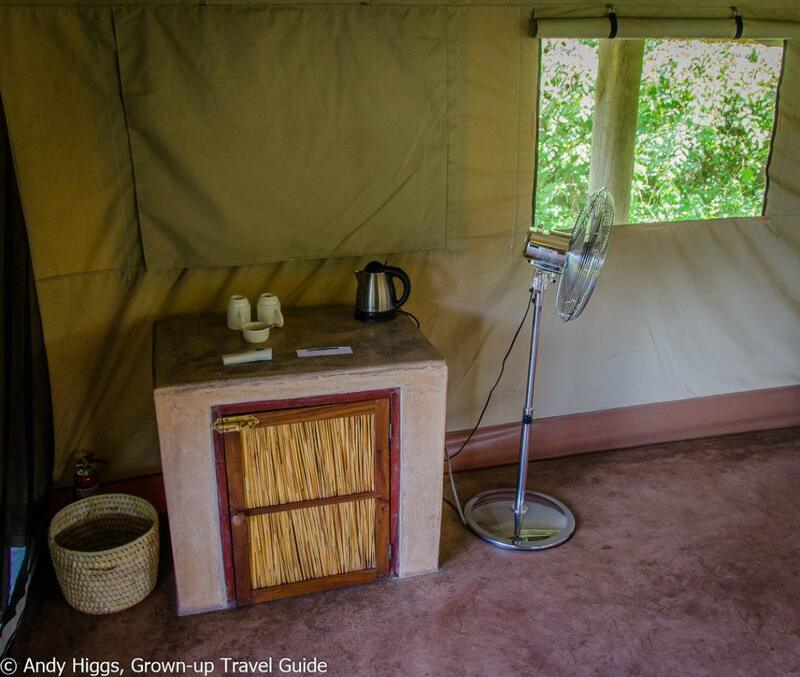 At the rear of the tent is a lovely outdoor(but covered and walled) bathroom with a full-size bath. A nice touch is the double basins with good storage space underneath. 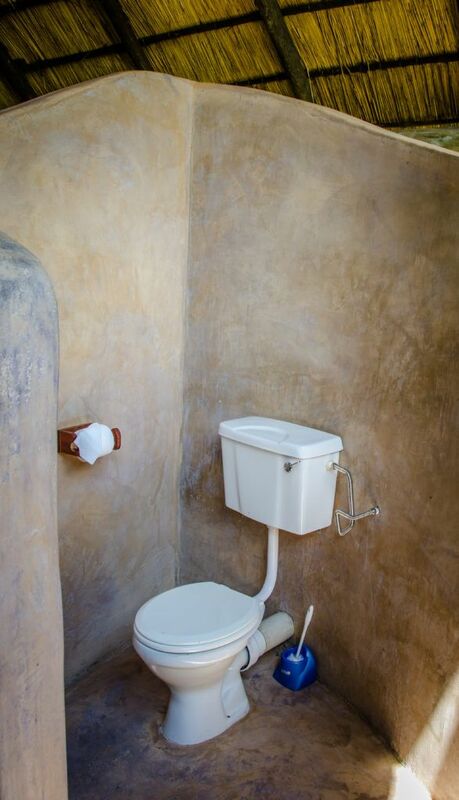 Regular flush toilets are found in all rooms. The bathroom door leading back into the bedroom. All in all, the tents have everything you need and a welcome lack of the unnecessary. Top marks for excellent design and lots of space, too. 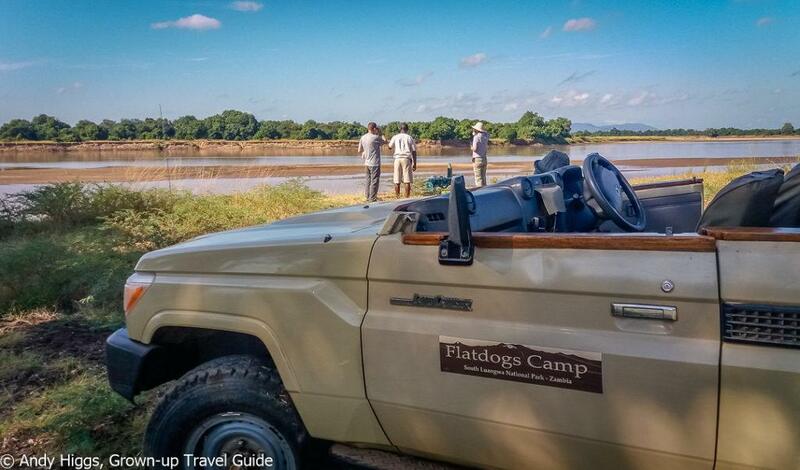 Naturally the reason that brings most people to Flatdogs Camp is to go on safari. 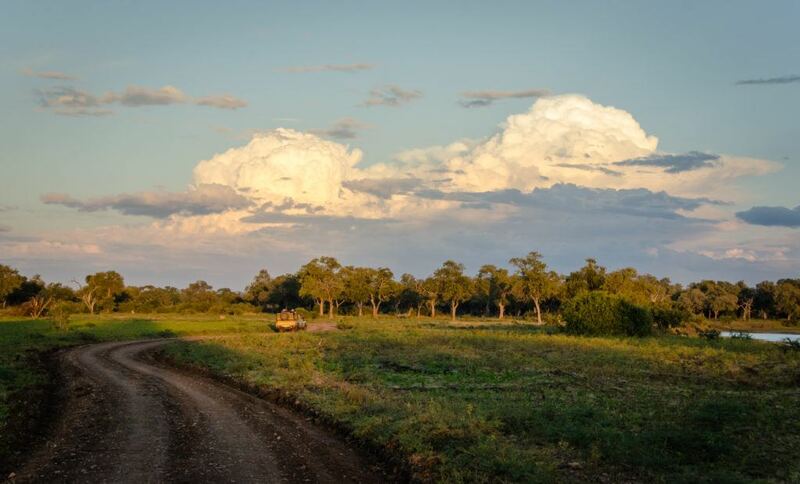 As well as game drives in the morning, afternoon and at night, guests can also take part in a walking safari. I did all of these during my stay, beginning with an early morning drive the day after I arrived. 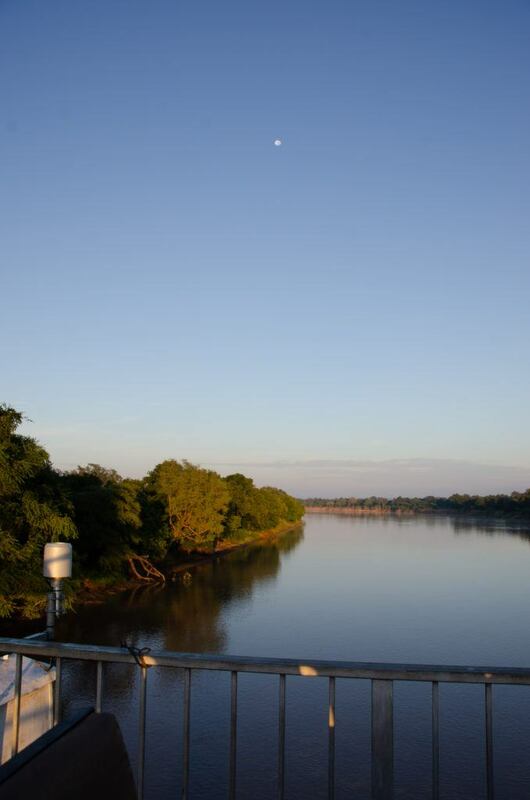 After meeting our guide, Kennedy, and having breakfast together with the rest of the group that would be sharing the vehicle we set off for South Luangwa gate, passing over the bridge on the River Luangwa first. Once in the park we spent the next few hours exploring the riverside area (yes, there are a lot of hippos in the water) and then a bit further into the bush. It’s a beautiful park and although we did see other vehicles, there were never that many and we had the feeling of having the place to ourselves for most of the drive. 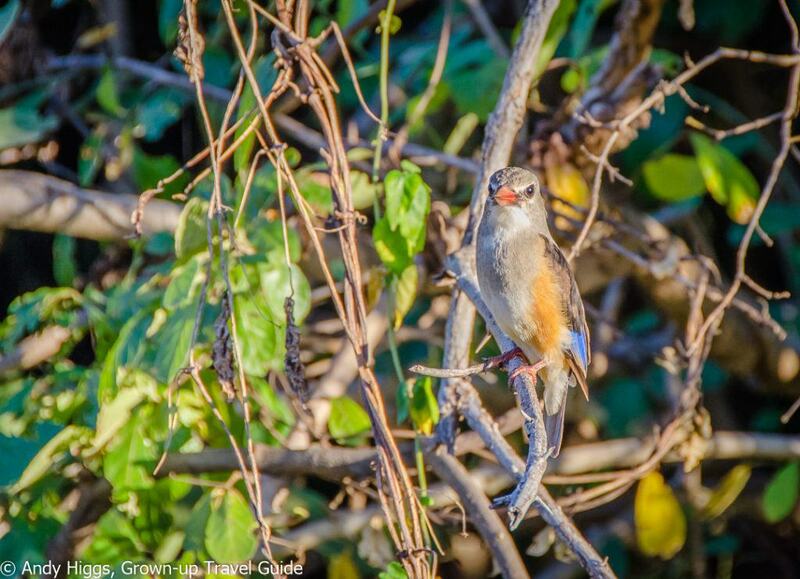 Always look for the small animals as well as the large – and the birdlife here is very diverse. Once place we did meet other cars was around this dead elephant – which had died of natural causes and was now rapidly disappearing after first feeding a family of lions and now a huge number of vultures. These highly efficient cleaners were waiting their turn. 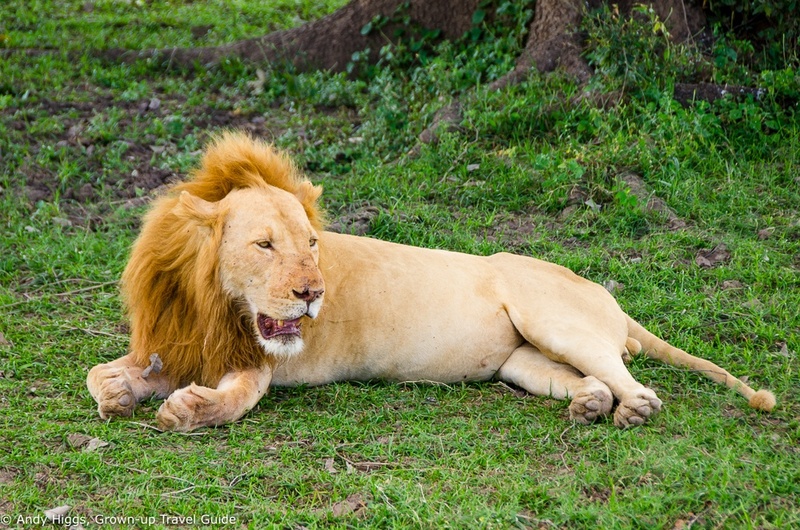 A well-fed and contented lion watches from a distance – we were able to get very close to this guy. 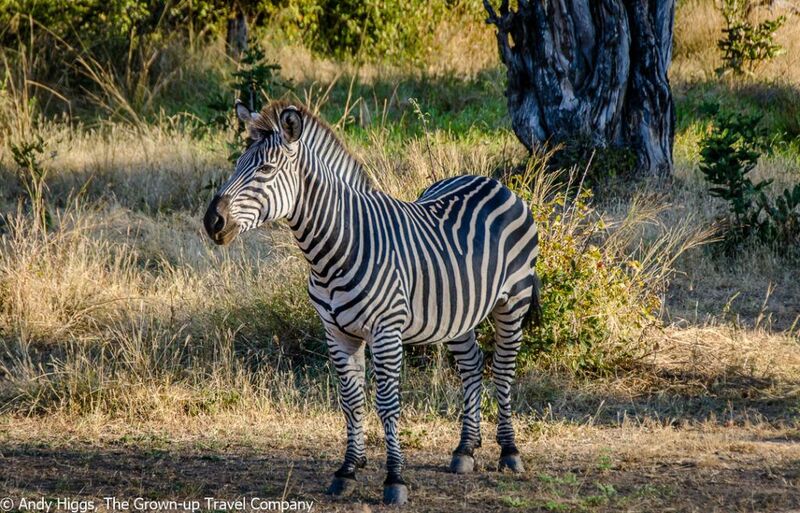 The park has plenty of other wildlife, including a lot of zebras. No better place for a morning coffee than on safari, here watching the crocs by the river bank. 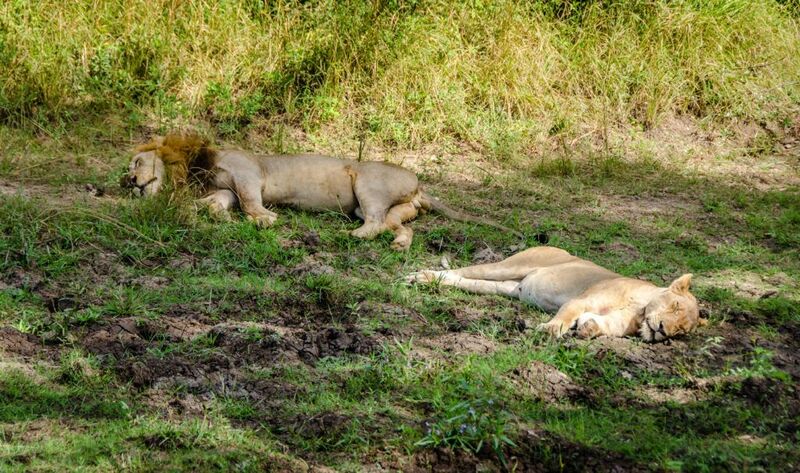 We found another lion family as we set off again, doing what they do most – sleeping. On our way back to the camp we spotted these monkeys in a well-lit setting by the side of the road. 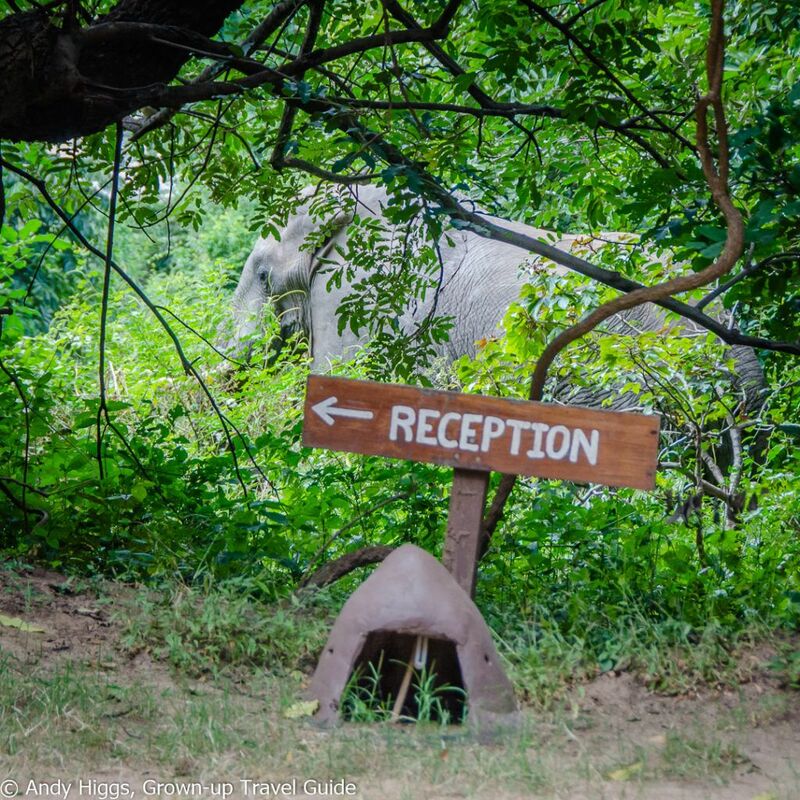 We arrived back at reception where there was justifiable excitement as yet another elephant appeared to be on its way to check in. The next morning I opted for a walking safari. 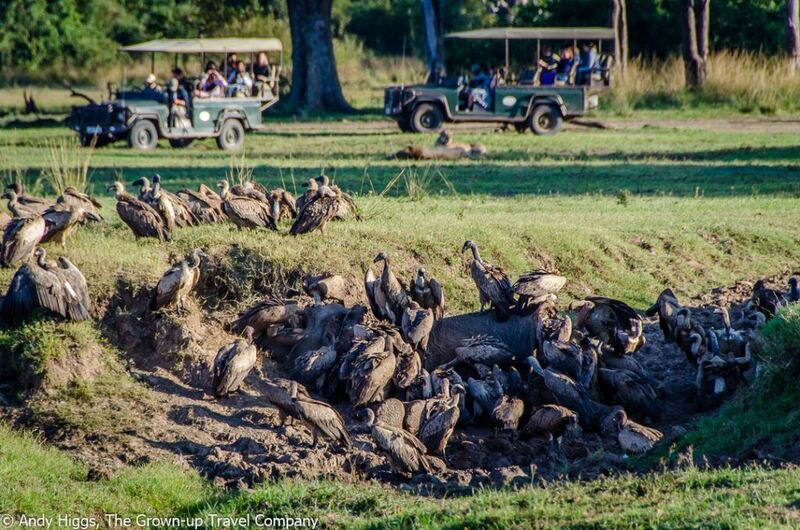 South Luangwa is the home of the walking safari and the experience is very different from a regular game drive. 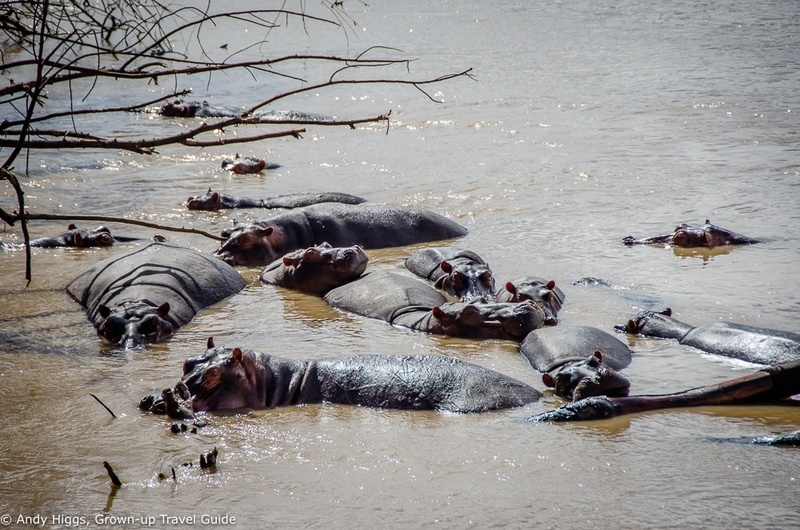 It is more about the small things, although we got to see some big animals at a safe distance. 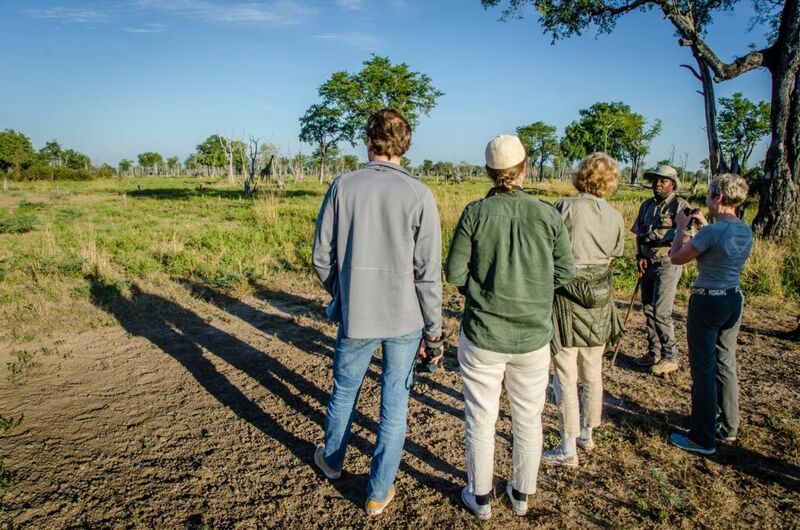 You learn a lot on a walking safari and our guide was exceptional, teaching us how to identify various tracks and the various uses for plants in the area. I highly recommend that you go on a walking safari, it gives you a completely different perspective on the natural environment. If you want a unique place to spend the night, this is hard to beat. 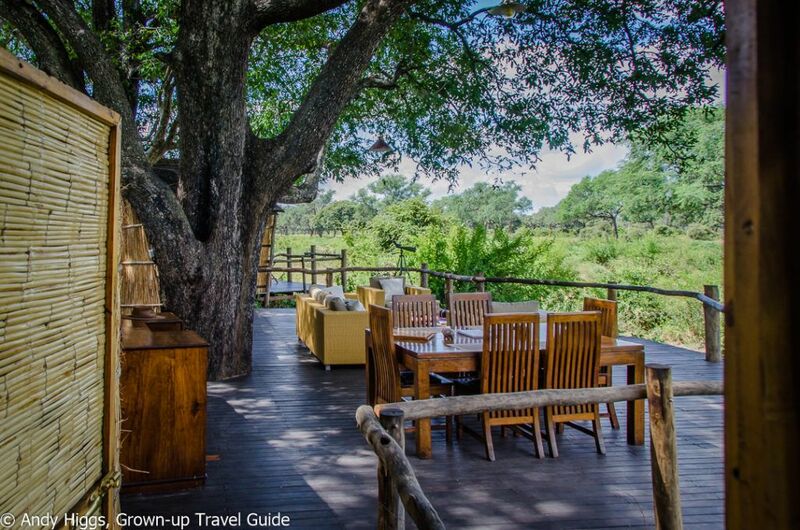 The Jackalberry Treehouse is built around three live African ebony trees with unbroken views out across a lagoon system which is regularly visited by elephant and giraffe. A comfy sofa, easy chairs and floor cushions on the middle deck are ideal for watching the game wandering past the house, happily oblivious to your presence. 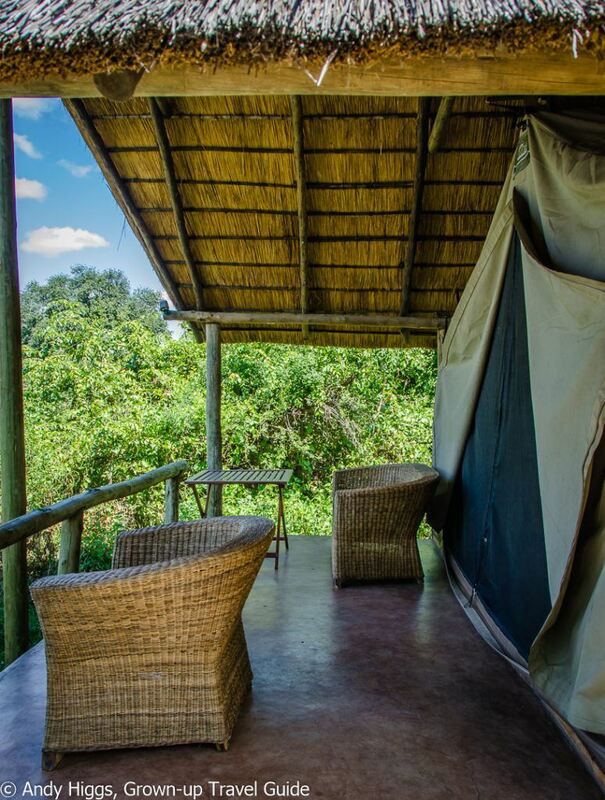 The Treehouse has three main decks which are around eight feet off the ground with wooden stairways to reach the spacious sitting area and open-plan bedrooms. 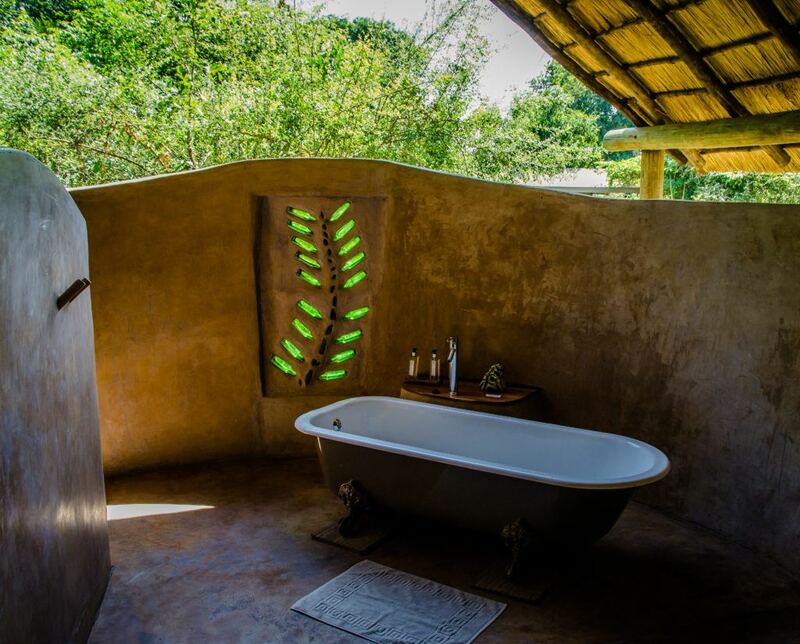 A fridge and bar are provided in the tree house as well as tea and coffee-making facilities. 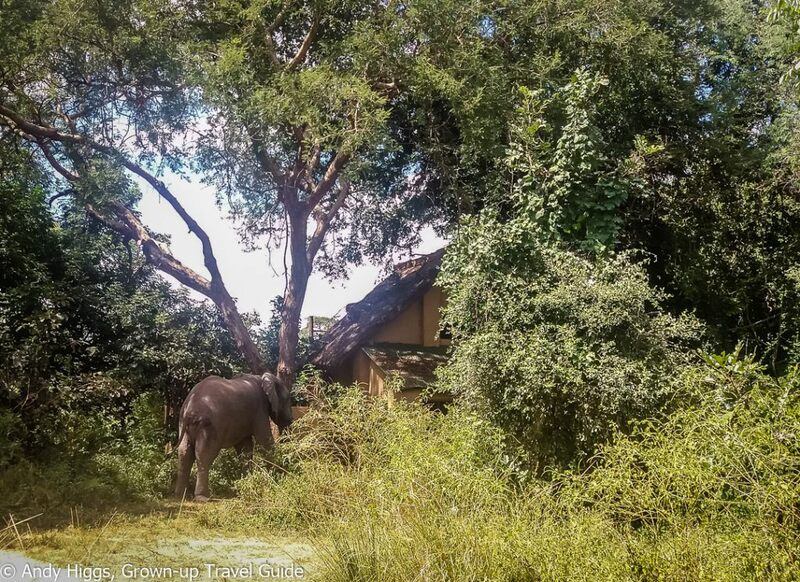 Since it’s open to the stars above and has no roof, the Treehouse is available only during the dry season, from 5th April to 15th November each year. 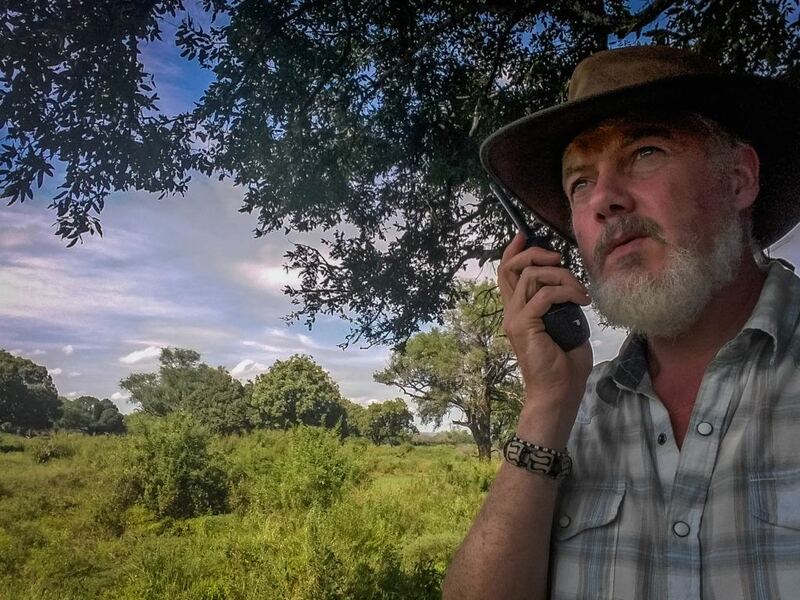 Guests at the tree house are provided with a hand-held radio, as the secluded nature of the tree house safari means that a vehicle is needed to transport you up and down from the main camp. 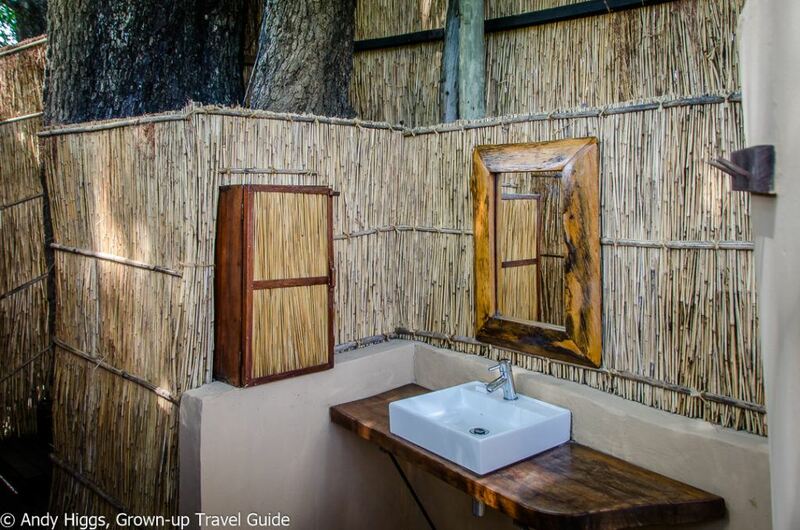 The tree house is also on mains electricity and has 3-pin square plug sockets for recharging cameras and batteries. 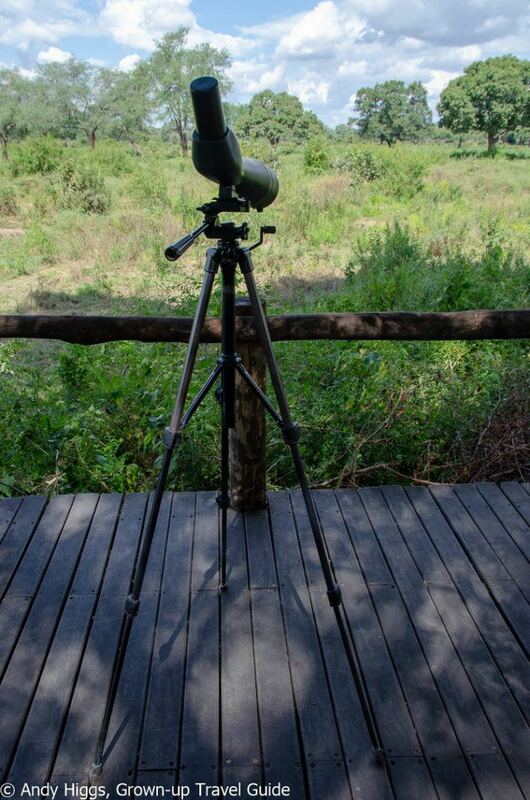 For a closer look at the wildlife wandering past (or the stars at night) you can use the telescope. I had the room on the right hand side of the house. This bedroom has a king-sized bed, the other one has either two single beds or these can be converted to a king-sized bed if there are two couples sharing the house. 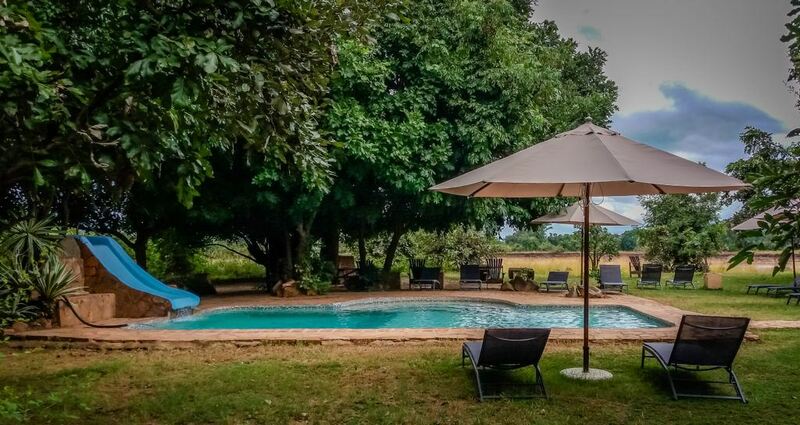 If you have four people sharing the house, a private safari vehicle and guide will be provided for your whole stay, which is an excellent bonus. Each room has its own balcony too. The view from my bed – not bad, eh? 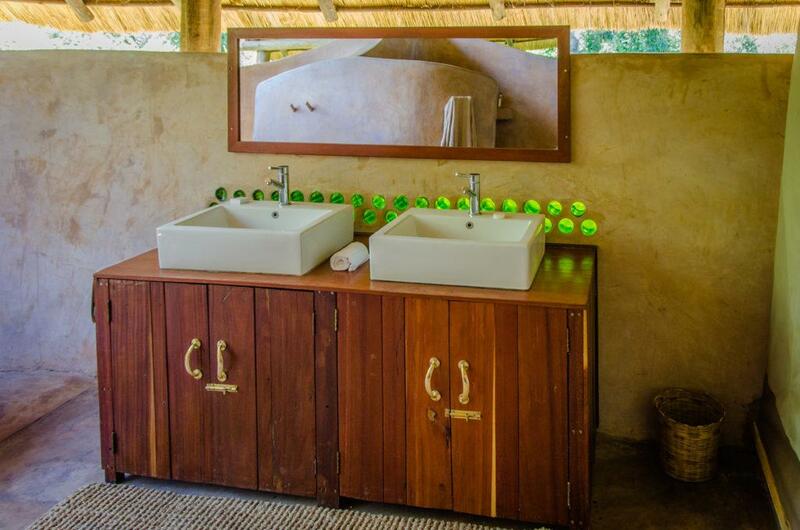 Each bedroom has open air en-suite bathroom facilities. The shower had good water pressure and continous hot water. 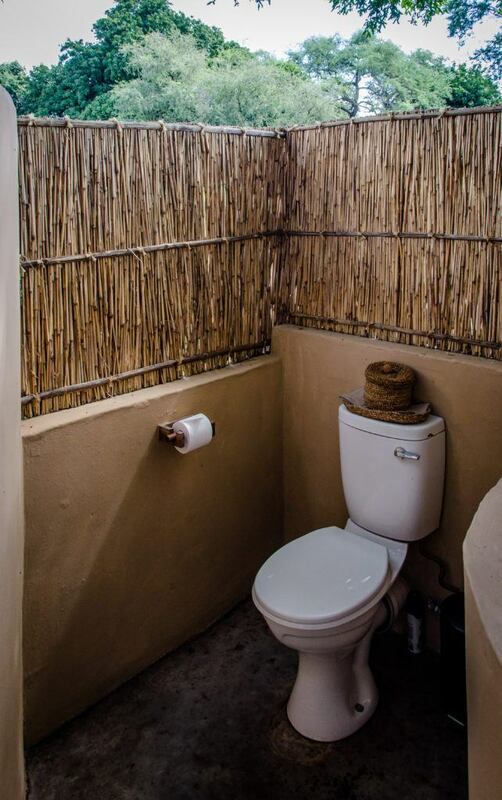 Even the treehouse has a standard flush WC. After moving in to the Jackalberry Treehouse, it was time to try a night drive. 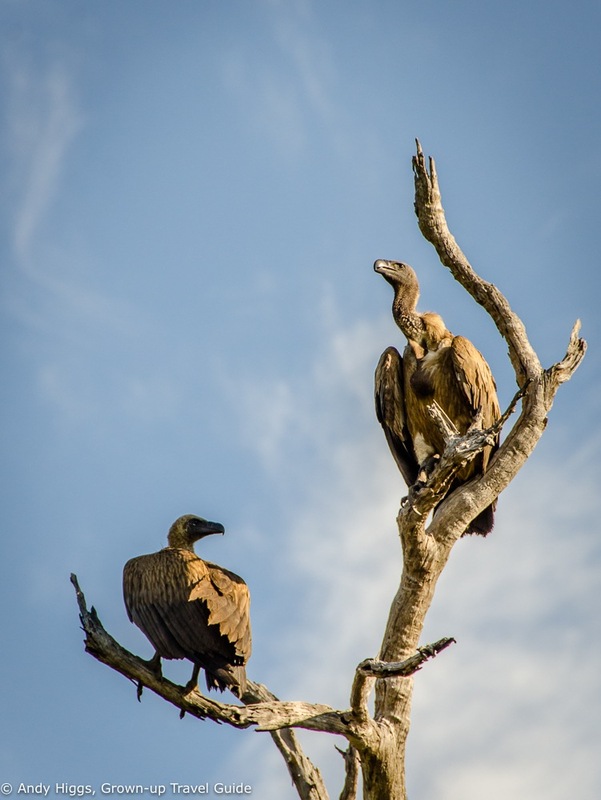 It was an exciting time but we were caught off guard by a hefty storm that came out of nowhere – dry season or no dry season. 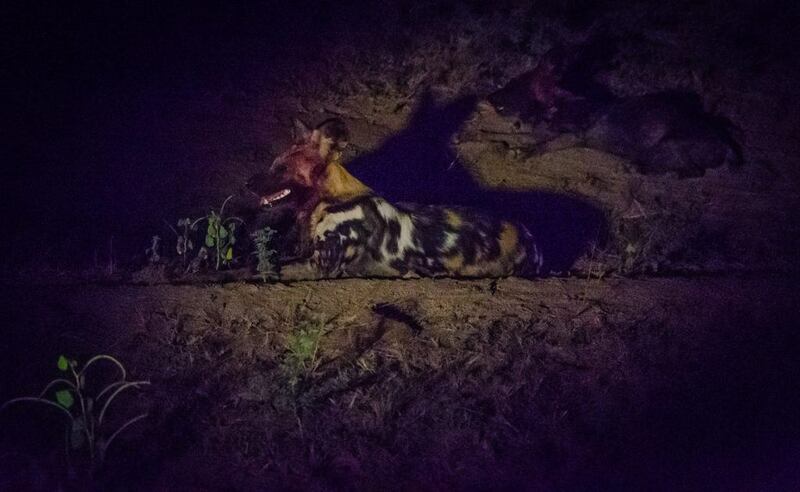 Since we were in a completely open Land Cruiser – I mean no roof at all – we got completely soaked but this was soon forgotten as we came upon a pack of painted dogs (or wild dogs, as they are often called) that had obviously just carried out a kill. given by the blood around their mouths. We also spotted a leopard on the way back but it was too brief to get a photo – and in any case it is almost impossible to get good pictures at night. Better to enjoy the experience with your own eyes, rather than through a lens. 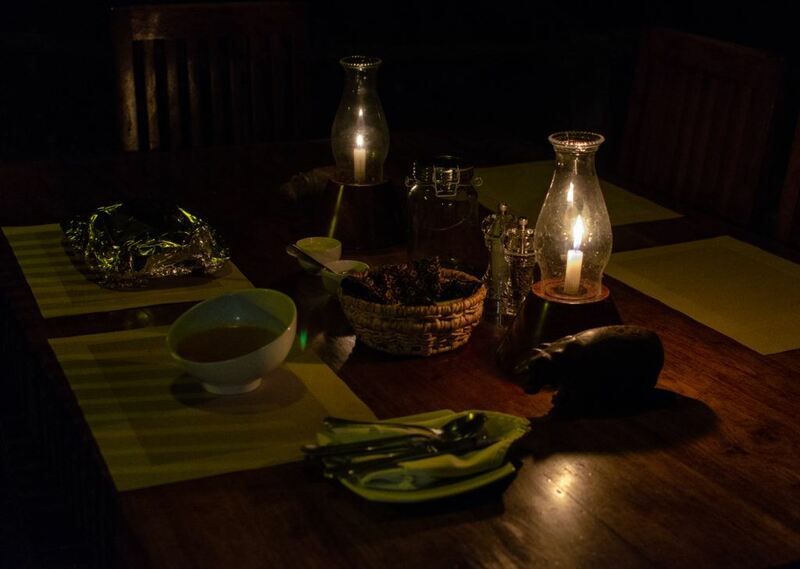 I had ordered dinner at the Treehouse and since the rain had stopped, was able to enjoy a candlelit dinner alone under the stars. 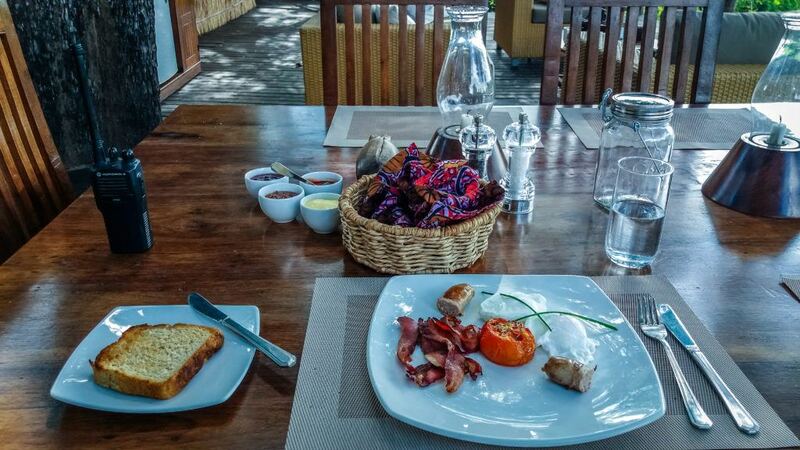 Sheer luxury – and the food was delicious, as was all the food I had at Flatdogs Camp. After a wonderful night’s sleep I awoke to the sunrise and soon after the sight of elephant passing by the end of my bed. A full English breakfast in style – delivered to the Treehouse as per my radio order. Good grief, how spoilt I am! I would have happily spent another night in the Treehouse but it was booked, so I reluctantly moved out in the morning. 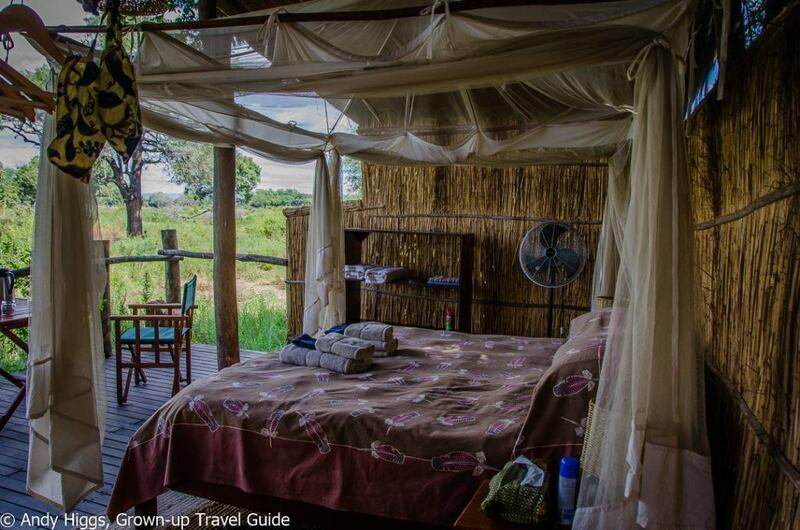 But the accommodation for my last night at Flatdogs – and indeed in Zambia – was wonderful too. 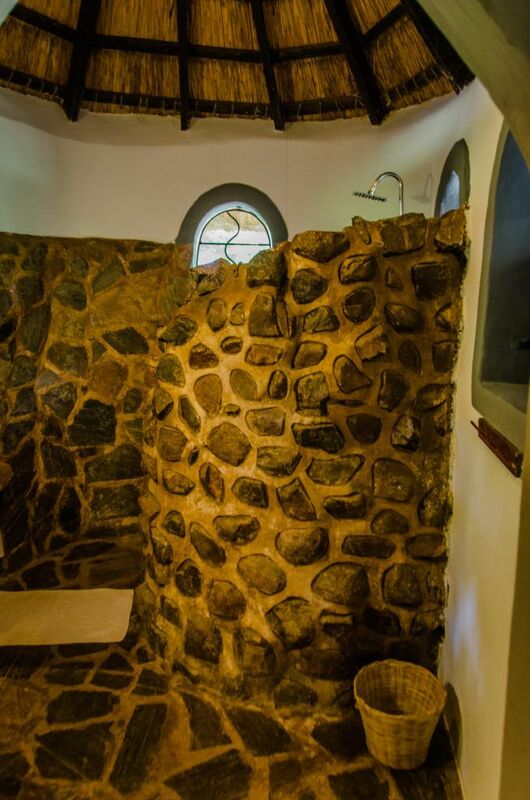 These chalets are made of stone and are designed to keep guests cool. There are six regular chalet rooms found in three separate buildings: each chalet building has a downstairs double room with en-suite bathroom and an upstairs twin/triple room with its own bathroom, just downstairs from the bedroom. My chalet room was on the ground floor, and included a covered veranda with a comfy sofa. A nice, cool place to chill out and hide from the sun. 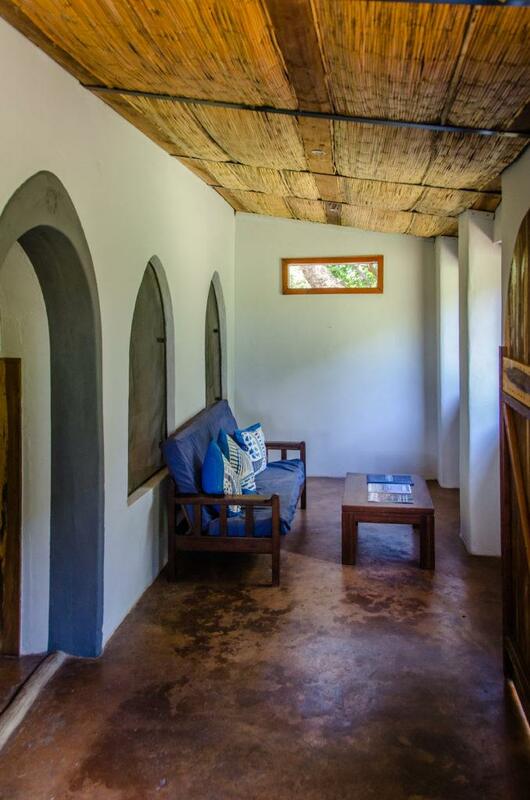 The two rooms in each building are completely separate with their own facilities, but can be joined through the small kitchen area if a family or group of friends want to book both rooms. 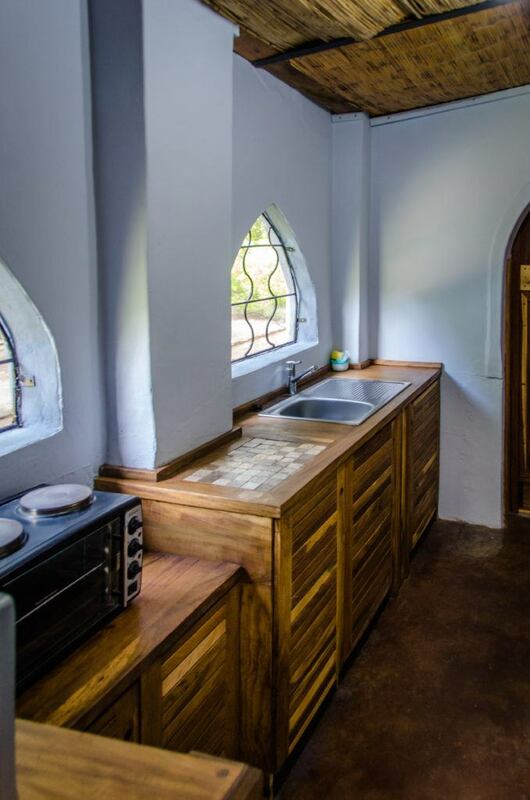 For those who are keen to cook for themselves, each chalet’s kitchenette is fitted with a hob/oven, microwave, kettle and fridge/freezer. 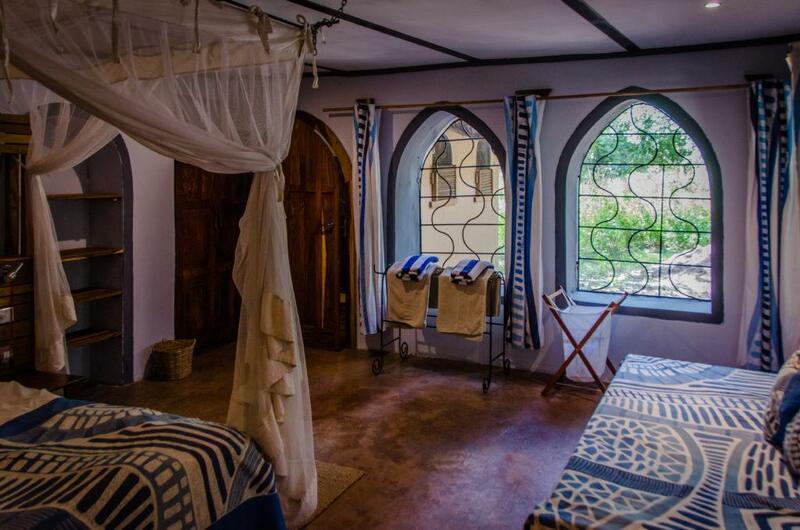 Each room has a fan and there are large mosquito nets surrounding the beds. There is plenty of storage space and room to manoever. The bathrooms are neat as well; the only minor niggle with mine was that it was a bit dark, but not to the point where it was a big problem. 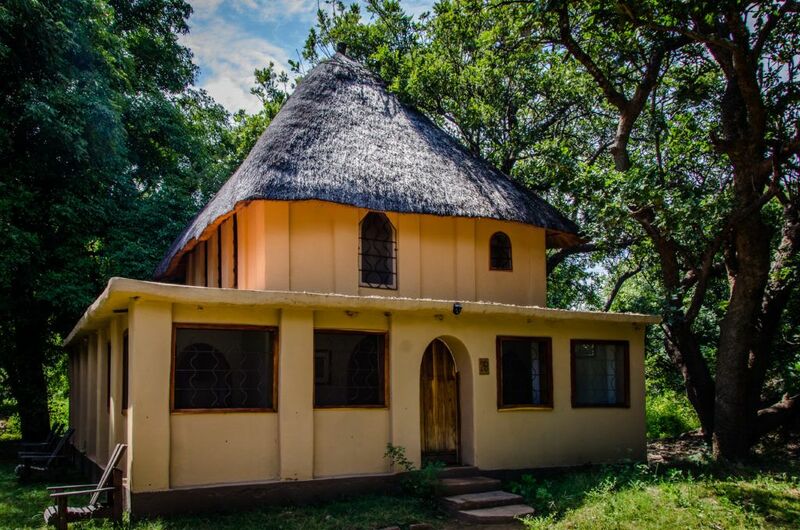 Flatdogs also has one larger family chalet; this building has 3 bedrooms in total, one twin en-suite, one double en-suite and an upstairs twin loft room. Both downstairs rooms have private ensuite bathrooms and have an extra bed to sleep 3 when required. The upstairs loft bedroom doubles as a sitting area, opening out on to a raised deck overlooking the river. The loft room has two more single beds but has no en-suite bathroom so people sleeping here share the bathrooms downstairs. 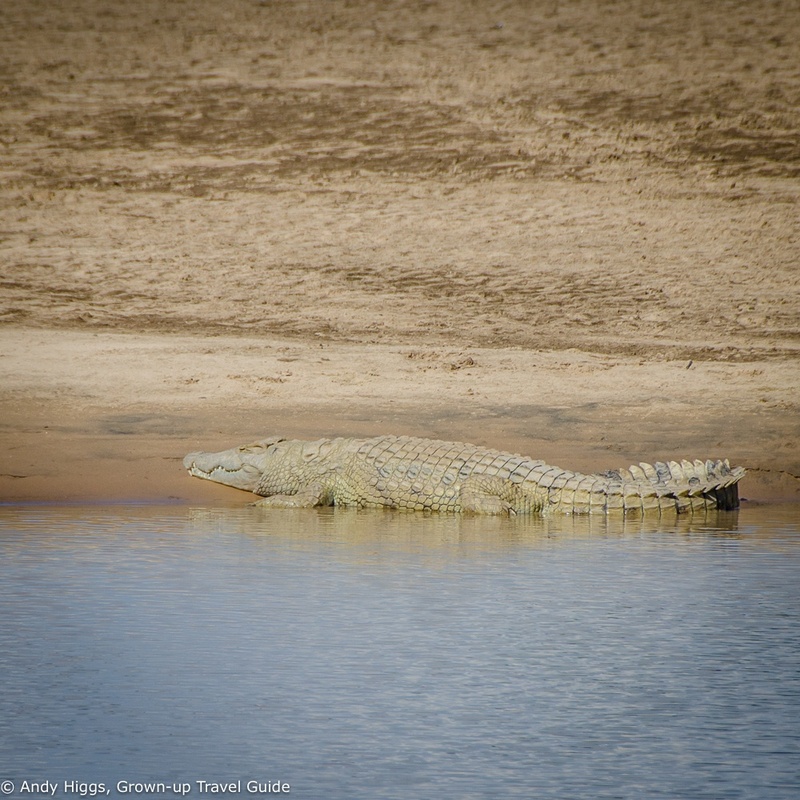 While I didn’t get a chance to stay the night here, I was given a guided tour of the final accommodation option at Flatdogs – the Crocodile Nest. This is luxury taken up a notch – especially for families or a group of friends. 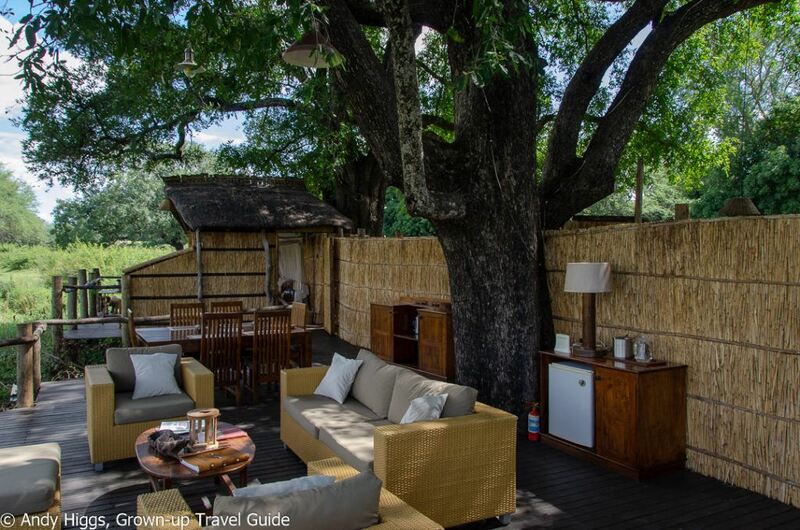 The perfect contrast to the wilder and bushier Treehouse, the Crocodile Nest is a large tented “house” with views onto the Luangwa River which offers exclusive safari accommodation with private guide and vehicle for great value. There are two en-suite bedrooms plus inside and outside living and dining spaces as well as its own private swimming pool. 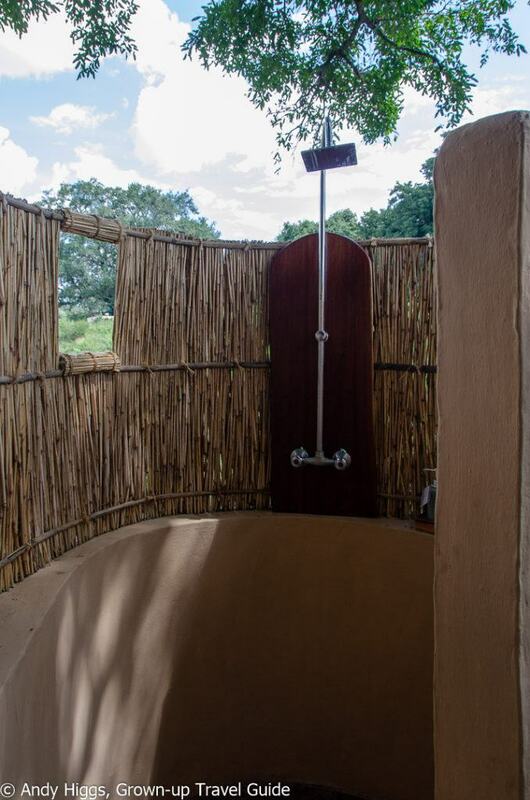 The bathrooms have a hot shower, toilet and basin and are semi-open. The bedrooms and living room have sliding doors leading out onto the deck where there are more sofas and a dining table as well as pool beds and umbrellas. It is possible to add a third bed into each bedroom, or two beds into the living room, so the house can sleep a maximum of six people. The Croc’s Nest has a fridge for cold drinks, a kettle for hot and again radio so you can order up your meals from our the restaurant and have them delivered to you at the house. 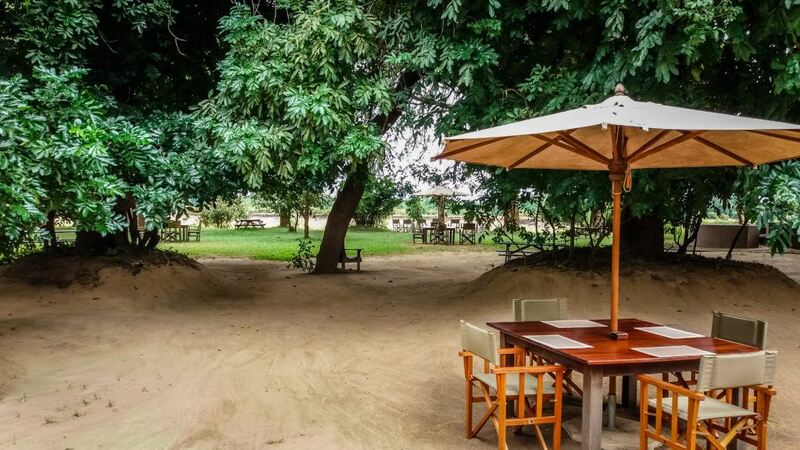 You can also join the rest of the guests in the main part of the camp should you so desire, or live in splendid isolation in your own private safari “villa”. All good things must come to an end, or so I am told. Sure enough, after four splendid nights at Flatdogs I had to leave as I had the last of my trade shows to attend and needed to fly to Durban in South Africa. I arranged a transfer back to Mfuwe and was soon on my way out of Zambia. But there is no doubt that I will be back to spend more time in this country – and at Flatdogs Camp. 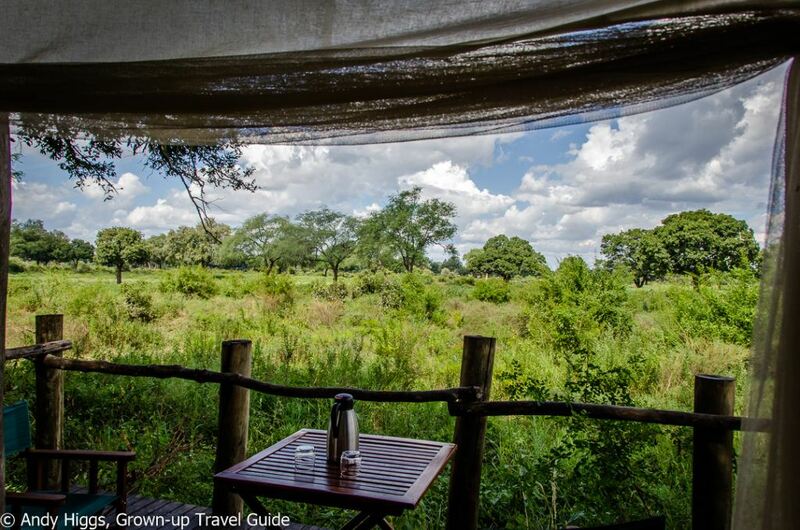 Interested in visiting Zambia and staying at Flatdogs Camp? 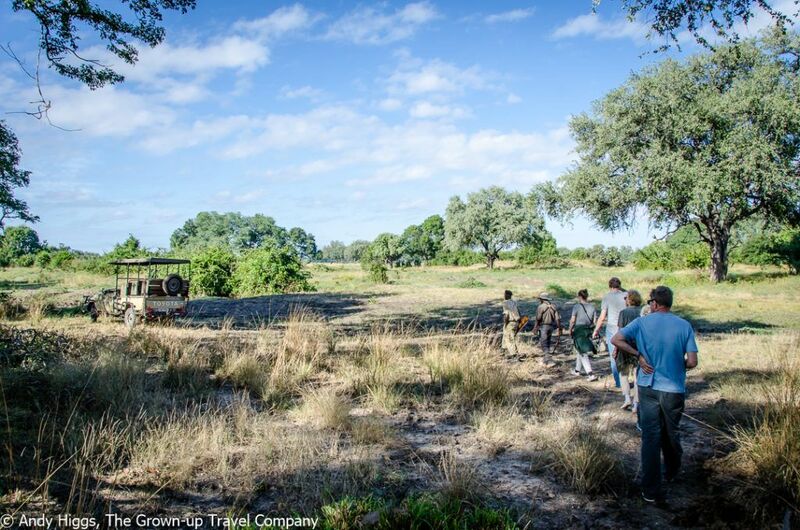 We will plan your dream adventure in Africa through our sister operation, The Grown-up Travel Company. Get in touch!